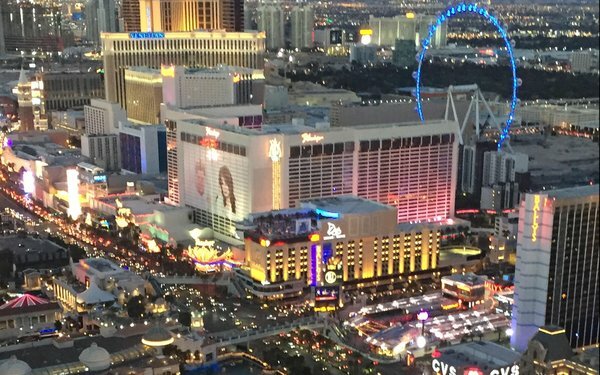 LAS VEGAS -- CES continues to attract swarms of marketers here to see the latest advancements in technology (5G, AI, Voice, Robotics, etc.) and learn how they will influence the future. Most marketers spend their time with power players like Google, Facebook, AT&T, etc. and tour the overwhelming 2.7 million net square feet of exhibit space. More advanced marketers dedicate some time to the Eureka Park Marketplace, where more than 1,000 startups are on display. It is in Eureka Park, and even more so in private meetings around CES, where marketers can find the most exciting startups. The most promising of them often don’t even exhibit, but instead woo marketers in closed-door meetings in hotel suites around CES. Here’s a selection of the “secret” startups I recommend marketers start paying attention to. SpokenLayer is already the No. 1 voice provider to Amazon and Google, powering voice experiences on smart speakers for the world’s top media companies from Tech Crunch to ESPN to Hearst. It creates, syndicates and distributes human voice content across the major audio platforms (Alexa, Google Home, Spotfiy, etc.) while producing aggregated metrics and analytics. It is now offering brands unique, voice-first marketing opportunities across these major platforms, from host-read messages to more integrated opportunities. Unbotify is using behavioral biometric analysis solutions to address ad fraud, specifically around bot detection. U.S. brands alone were estimated to have lost $6.5 billion to ad fraud in 2017. It uses a patent-pending machine-learning system that extracts hundreds of inputs from sensors in mobile devices to determine real human vs. bot. The interplay between this data, and the models trained on specific flow and context, makes it extremely hard for fraudsters to game. By eliminating -- or at least minimizing -- ad fraud on mobile, brands will of course see a better ROI, even if it means publishers need to rethink CPM and actual inventory levels. Ovie Smarterware is the world’s first smart food storage system, which allows you to keep tabs on your food and simultaneously help address the world’s food waste problem. You don’t have to buy the latest smart fridge, as their SmartTag sensors simply can be placed onto a food container. From there, Ovie tracks freshness, letting you know if the food will be going bad soon, and recommend food recipes to you based on all of the items in your fridge. It is one thing for brands to measure purchase. Think of the advantageous of measuring actual consumption or being included in the recipe recommendations that have the urgency of getting cooked that night. Eyecandylab wants to be the AR lens for every video. Its computer vision technology enables you to expand linear video into your room and interact with beautifully engaging AR content by simply pointing a smartphone or tablet to the screen. The revolutionary technology understands what you are watching, be it live TV or online video, and delivers engaging and interactive content to the palm of your hand. This enables marketers and content creators the opportunity to break the barrier between the virtual and real world by incorporating added effects, stories, value-adding information and ecommerce capabilities. PopSquare creates AI-enabled pop-up kiosks that utilize Big Data, computer vision, sensor fusion and machine learning to deliver increased sales, deeper analytics and reduced costs. Some of the features that jump out are the computer vision capability which provide insights into customer intention and when coupled with the data capture can predict trends and inform inventory investments. Its live chat interface on the kiosk also enables better customer service. Yogi Berra once said “nobody goes there anymore, it’s too crowded” -- which perfectly sums up most marketers’ feelings around CES. Yet there are spectacular opportunities, if you know where to look beyond the obvious wow of 8k TVs, foldable smartphones and bread-making robots.